This movie looks really good! I am a fan of Disney and Pixar, and their recent release of Toy Story 3 was one of the best movies I have ever watched. 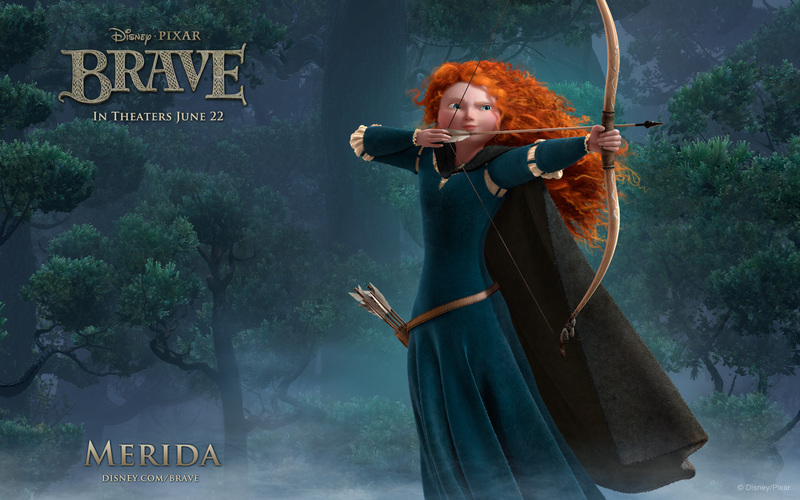 The movie is about a teenaged girl with really curly ginger hair named Merida who lives in a far away land. Like most movies released by Disney, Brave takes place in the medieval times. Merida like most princesses, felt confined and controlled by her parents, so she ran away to seek out away to change her life. She was tired of her parents telling her how to act, how to dress, even who shall marry her! The problem was that Merida accidentally let lose a dangerous cure, which begins the adventure, of a young teenager fighting to control her own destiny. Brave looks like a really good movie and I would watch it if it was free. Not only does it look funny, it is just plain fun to listen to during the commercial. Merida’s accent is Scottish and is really cool to listen to.